Answers to the question: Why do you read Tenth to the Fraser? The size of the words relates to the relative frequency of use (commonly used words show up bigger). A little while ago we launched our first ever readership survey on Tenth to the Fraser. 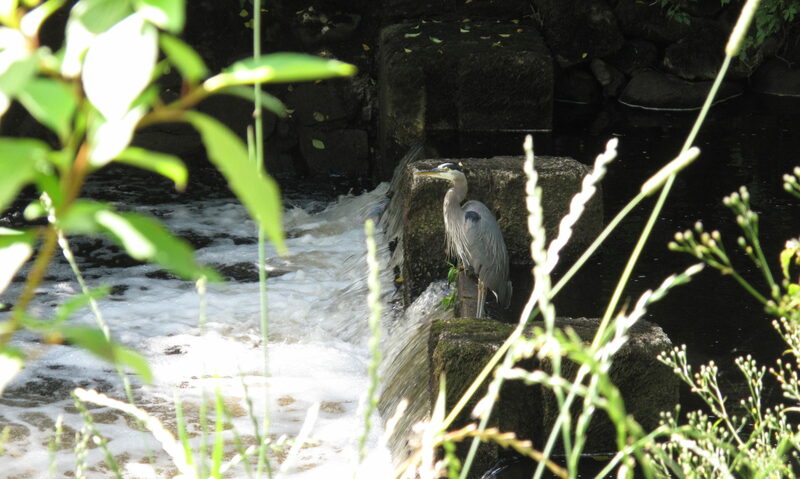 We had a great response, with 44 of you taking the time to share your thoughts on the website. I shared some of the preliminary response in an earlier blog post, and as promised, here are the full results. Hee hee. Yes, you should! A lot of people mentioned the diversity of viewpoints and writers as being something they really like about this blog. This is something I feel really passionately about. I am always looking for contributions from guest writers because it’s just not possible for one person to know everything about the city. Everyone’s got their own passions and perspectives, and one of my aspirations for this blog has always been to provide a way for people to share information and commentary about the things they’re passionate about with others in our community, whether it’s transportation issues, arts & culture, environmental issues, shopping, parenthood, foodie appreciation or local history. We have had over 50 people write for Tenth to the Fraser in the past two years, and I hope to see many more of you step forward and contribute a post! Until now our guest writers have usually approached us with an idea (or been pressed into service by me to write about a particular topic). But I’d like to try something new. I’d like to start a TF writers’ pool. Every Wednesday starting this week I’ll send out a writing prompt via the blog, Facebook and Twitter and if you have something to say on the matter you can share your thoughts. If it turns out you’ve got a lot to say about it, you can respond with a guest post. You can also write about it on your own blog (if you do, please send me the link so I can link back to you!). If you’re interested in writing about New Westminster issues but you need inspiration, please comment on this post or send me an email and I’ll add you to the pool. This new feature will be called New West Wednesdays, and will hopefully inspire more people to write about our town! I’ll also be sharing some Twitter love on Follow Friday for anyone who participates. What kind of information & commentary do you want to see more of? 100% of our survey respondents said you are very or somewhat interested in seeing more local event information. OK. We get the message! We’ve now got a small posse of amazing volunteers helping me add events to our New Westminster Events Calendar on Tenth to the Fraser, and I’ll work on writing more posts for the blog about local events. If you’d be interested in helping out, please let me know! If you are organizing an event or if you notice that we’re missing an event on the calendar, please send the information via email to info at tenthtothefraser.ca. There was also a big response in favour of more restaurant and business reviews and profiles of individuals who are making a difference in our community. We’ll work on that! The opinion on politics was more mixed. The majority of you indicated some interest, but only 56% were ‘very’ interested. We’ll be publishing some political information leading up the federal election and the next civic election but we’ll continue to focus primarily on lifestyle & opinion. Tenth to the Fraser will be co-sponsoring an all-candidates event related to the federal election very soon in partnership with New West Environmental Partners and N.E.X.T. New West. We’ll be publishing the details on that as soon as the date and location are finalized. Another somewhat divisive topic was family & parenting in New West. Understandably this is not something that matters as much if you don’t have kids! We’ll continue to publish info about this but we’ll try to balance it out with more coverage about the things you said really mattered to you. As always, time is the biggest issue in pursuing some of the in-depth coverage you’ve asked for. Tenth to the Fraser is not something we are paid to do. Money we make from advertising goes into web hosting and promotion for the site. We do what we can with the hours not taken up with paid work, sleep and family life. As always, we welcome your volunteer contributions to help us do more. As regular readers know, I’ve struggled recently with how much latitude to allow in the comments section. We’ve had a few minor skirmishes with comment trolls and I wrestled with how to respond in a way that allowed fair comment while respecting that most of our readers are not interested in fighting a war of words. 77% of you said that our approach so far is about right, while 20% thought we were too lenient. Only one person thought we have been too strict. This is reassuring to see, as I try very hard to be a fair moderator. I’ll be adding a formal comment policy to the website in the coming weeks that will outline what is and is not allowed in the comments, and clarifies what happens if a comment is not approved (I always try to contact people if there’s some reason why I don’t feel I should publish their comment). I’ll share more details about the feedback you shared on this topic in a later post when the new comment policy is announced. A key aim of the survey was to gather feedback on how you’d like to see Tenth to the Fraser evolve. I’ve got a long list of things I’m interested in trying, but I only have so much time and money to put into this project! Based on your feedback, I’ll prioritize improvements to the events calendar and other ways to highlight arts, cultural & community events, and explore adding some directory features including resources for jobs, finding other New West bloggers and highlighting New West businesses. Small town feel in a big urban area. Small town feel with many of the “big city” amenities I need. The fact that it actually IS a community, and that it’s a community of great people. It’s great people, a strong ethos of involvement and cooperation. The challenge to make it a more efficient and a better place to live. decent parks and library. relatively clean. It’s at the centre of the Fraser Valley Universe. Was cheap to buy a house. Not anymore. Water front, Small comminuty feeling. I love how we are a little city squish between a bunch of large cities. The city may change physically but it will always have that small city feel which I absolutely love. Size of the city makes it easy to get around. 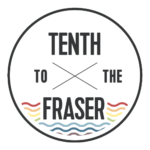 Thanks to everyone who participated in the survey and to all who support Tenth to the Fraser by reading, commenting, writing, linking, tweeting, Facebooking, gossiping and recommending our site to friends. We couldn’t do it without you. Thanks for all the work you guys do – I'm excited about the new initiatives like the writer's pool and events info and am sure these things will just make a great site even better!